Oldham moved out of the League One relegation zone after turning around a half-time deficit to win at Stevenage. Boro took the lead early on when the Latics failed to clear and James Dunne rifled home from the edge of the area. Captain Dean Furman latched onto a Matt Smith head down early on in the second half to equalise, before Lucas Akins had a goal ruled out for offside. 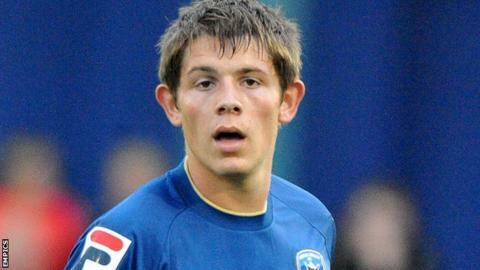 James Tarkowski headed in a Jonathan Grounds corner to continue caretaker boss Tony Philliskirk's unbeaten run. He made six changes to the team that drew 2-2 with Everton in the FA Cup and remains undefeated in his three games since taking over from Paul Dickov. Gary Smith's side have now lost their last three games in a row and have slipped into the bottom half of the table. "I'm obviously delighted because we set the goal to the players before the game to get the three points. "We've moved out of the bottom four so I can't praise the players enough. "We were a little lacklustre in the first half and the lads looked a little tired, but we started the second half very well. "The players have got a bit of ownership of the dressing room at the moment and, fair play to them, we controlled the game in the second half."